Intellectual property commercialisation firm France Brevets has filed patent infringement lawsuits against phone makers HTC and LG in the US and Germany, for using two NFC patents that were granted to Inside Secure in 2004 and 2010. US patent 6,700,551, “Antenna signal amplitude modulation method”, filed in 2001 and granted in 2004. US patent 7,665,664, “Inductive coupling reader comprising means for extracting a power supply voltage”, filed in 2005 and granted in 2010. 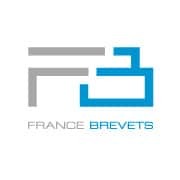 Inside Secure hired France Brevets to handle licensing of its more than 70 patents in 2011. “The NFC Patent Licensing Program was launched last year by France Brevets,” says Jean Charles Hourcade, managing director of France Brevets. France Brevets is being represented in the US litigation by McKool Smith. Chrome OS to get NFC unlock?